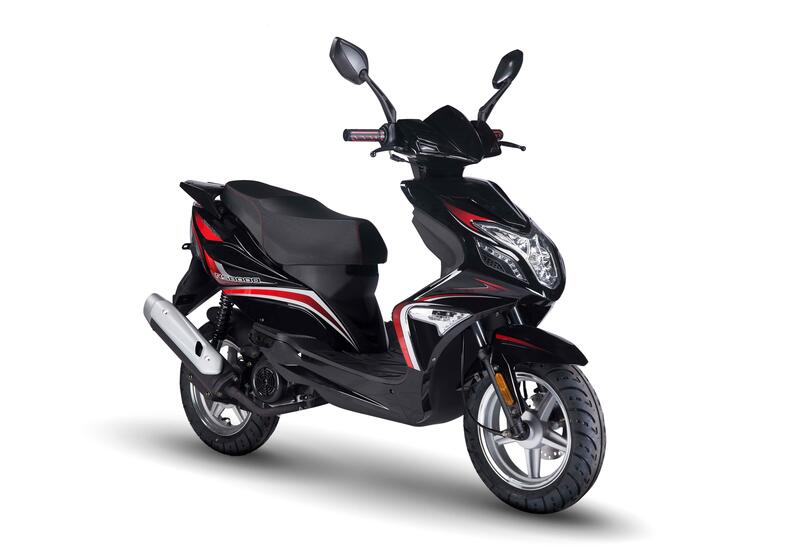 The zippy KSR MOTO RS 8000 50 is the ideal sports scooter for the city: compact, agile, and it has a modern, dynamic design. The big city is the territory of the agile KSR MOTO RS 8000 50. 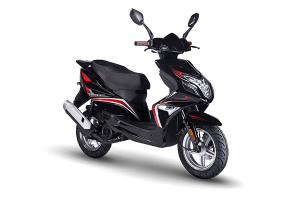 Its compact design and the zippy yet economical four-stroke engine promise pure joy while riding in the urban jungle. Narrow streets and sharp bends – that’s what this sports scooter loves – and that’s what you’ll love about this sports scooter. Its fluid-dynamic shapes and the red accents, which are also reflected in the handlebar grips and on the seat, express what this scooter was created for: sporty-urban joy while riding every day! The modern and low-emission four-stroke engine of course complies with the strict Euro 4 emissions standard.